Printable Valentine cards that are perfect for little ones who prefer to leave the hearts and roses out of Valentine’s Day! 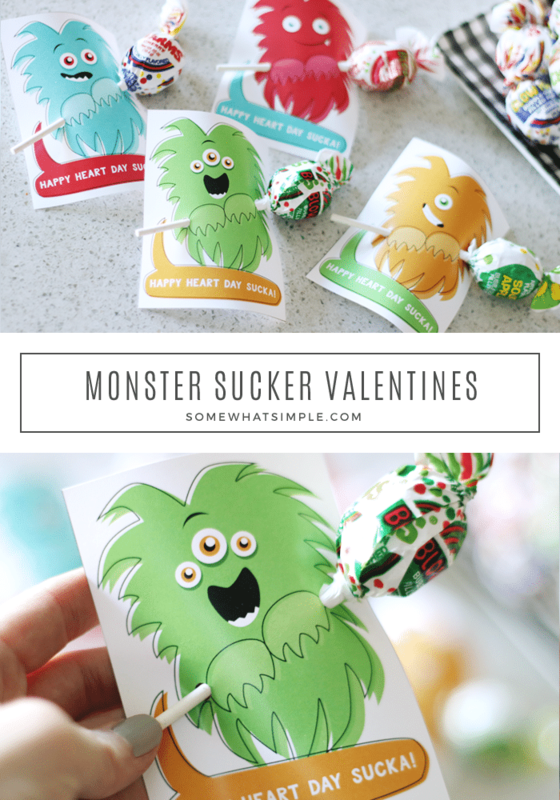 Because some kids want to steer clear of all things pink and frilly, we created some Yo Yo Valentines, Star Wars Tic Tac Valentiness, and now these sweet Monster Sucka printables. 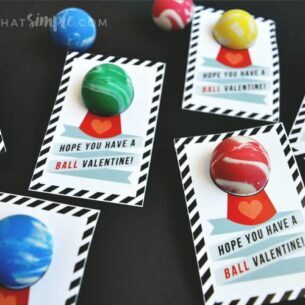 School Valentines this year are going to be affordable simple, and fun! 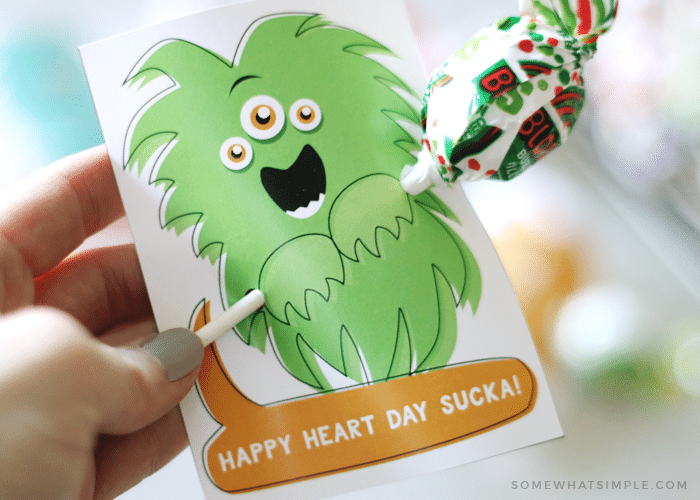 When my oldest son was in elementary school, he hated Valentine’s Day. 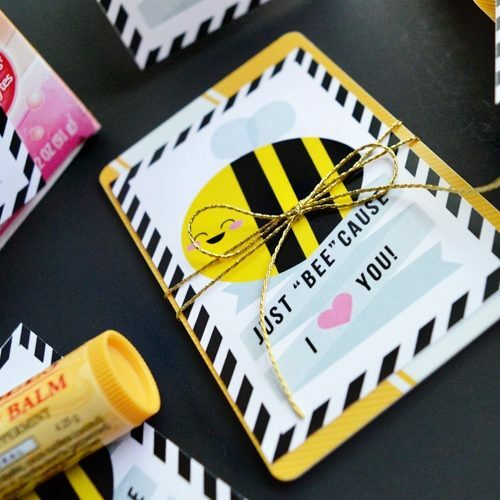 He never wanted to pass out cards to his classmates because even the store-bought packs you could buy at Walmart would say things that were too mushy and sweet. Each and every year I made it a goal to come up with an idea that he would be excited to hand out, and it actually made the day quite fun! These monster printables are one design he really liked a lot. I figured if my hard-to-please son approved, maybe there are other moms who could use them too! Download print and cut out each monster card. Have your child sign the back of the card. Punch two small holes or cut a slit over the black dots shown on the monsters. Slip a sucker through each hole so it looks like the monster is holding the sucker. 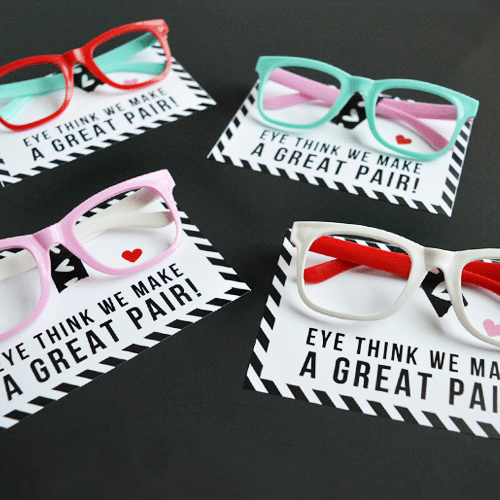 Such a fun, simple Valentine Card – don’t you think??? 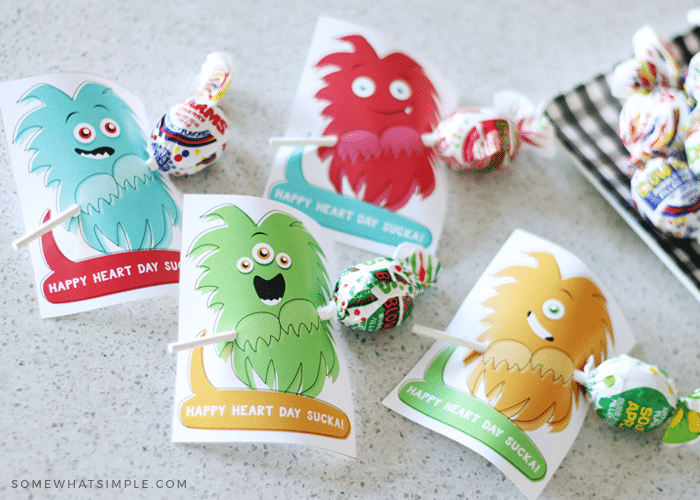 Ready to make your own Monster Printable Valentine Cards? 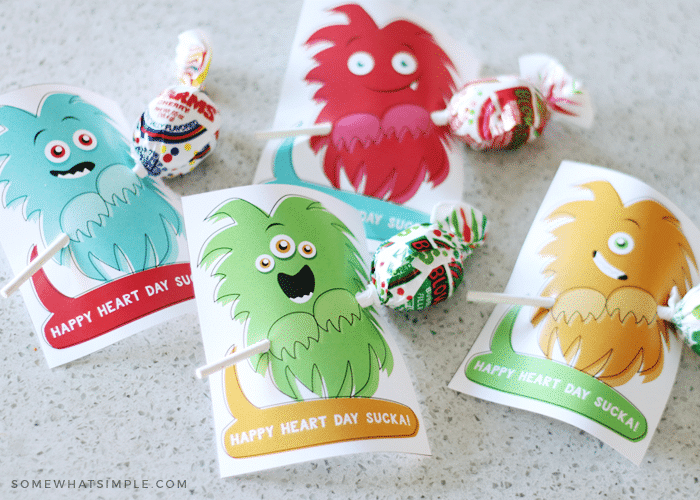 Please note – As with all our free printables, these monster Valentine printables are for personal use only. Please do not mass produce them, sell them, or claim them as your own. Thanks for understanding! This post first published on Somewhat Simple in 2011. It was updated with this printable in 2019.